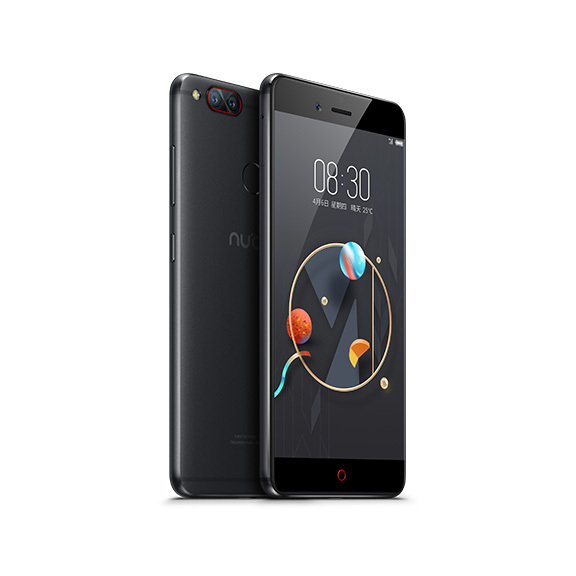 Nubia has launched Nubia Z17 Mini Smartphone in India which comes with a 13MP Dual Rear camera and 4GB of RAM. Nubia Z17 mini feature a 5.2-inch 1080p 2.5D curved glass display powered by an Octa-Core Snapdragon 652 processor with 4GB of RAM and 64GB of internal storage. has a unibody metal design and is just 7.45mm thick. It has a dual 13-megapixel rear camera, one with monochrome lens and the other one with RGB lens, offering crisp shots. It has ultra fast focus in 0.1 seconds and supports aperture adjustment from f/1.0 to f/16.0. It also has a 16-megapixel front-facing camera with 80-degree wide-angle lens. 5.2-inch (1920 x 1080 pixels) Full HD 2.5D curved glass display with 1500:1 contrast ratio, 85% NTSC color gamut. Nubia Z17 mini comes in Elegant Black Color priced at Rs 19,999 The smartphone will go on sale on June 12 on Amazon starting 12 PM.